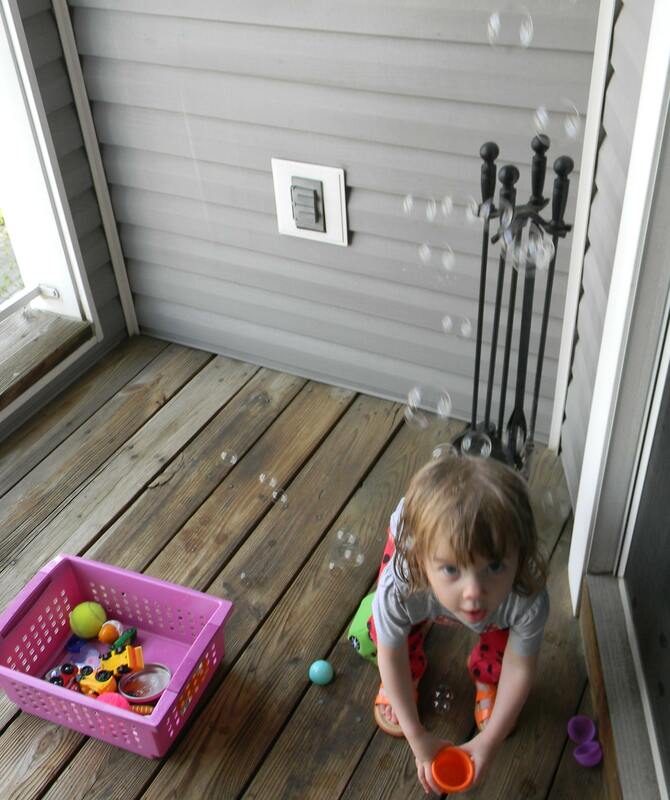 We have had a busy week of cooking, playing with bubbles and enjoying the nice weather. Miss H likes to make a nice soup of goldfish crackers, rocks and leaves. Yummy. 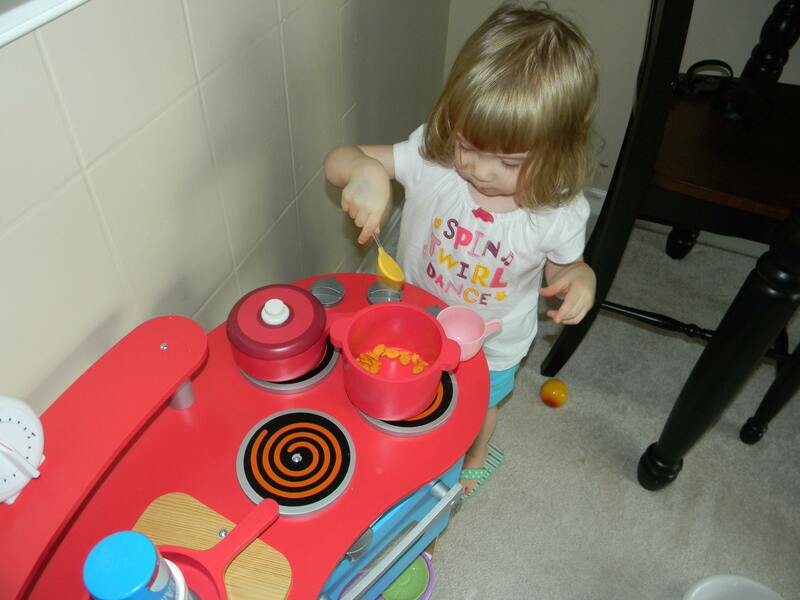 Luckily, her stove has a timer so she can ‘stir ‘and ‘cook’ it to perfection. ‘Bubbles’ are sometimes the first words out of her mouth in the morning. Mom gave her a bubble gun for Easter and we are spending a lot of time shooting bubbles around the neighborhood, and in the bath tub. It is hard to take pictures and shoot bubbles at the same time. I offered up Miss H’s infant carseat on Facebook last week and our friend Dr. Blondie was the first to take us up on the offer. We pulled it out of storage on Friday night and Miss H decided that she liked this one much better than her current one. 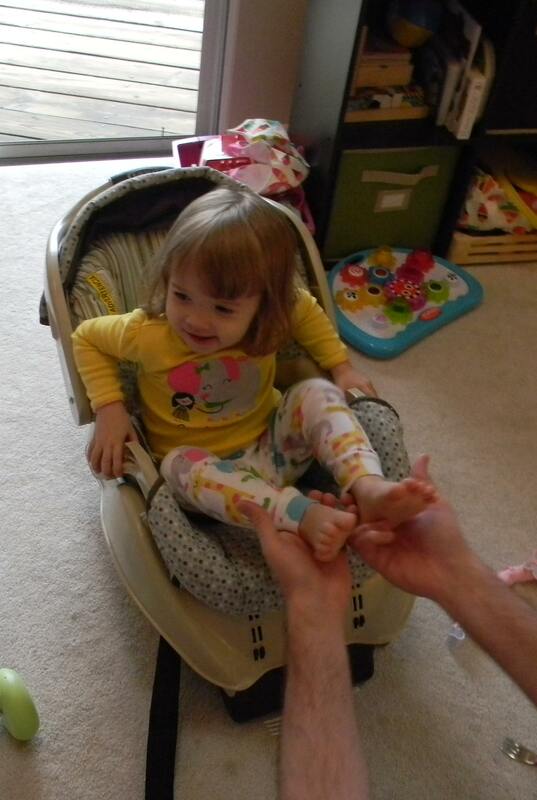 Of course, now that we look at the infant carseat- it looks so small. 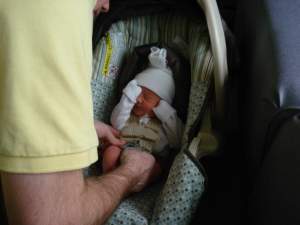 Once I looked back at the pictures, Miss H was teeny and that carseat was so big! Saturday evening (well, not really evening- it was 5pm), we headed to our neighborhood Italian restaurant and enjoyed a great dinner. Miss H got spoiled by our waitress (who knew to keep the food coming to keep her entertained) and she very much enjoyed her ravioli and dessert of strawberry ice cream. Kerry and I enjoyed our dinner too. 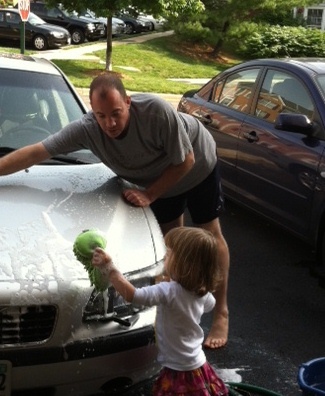 Plus, we did not have to chase someone around since there was always something to entertain her. 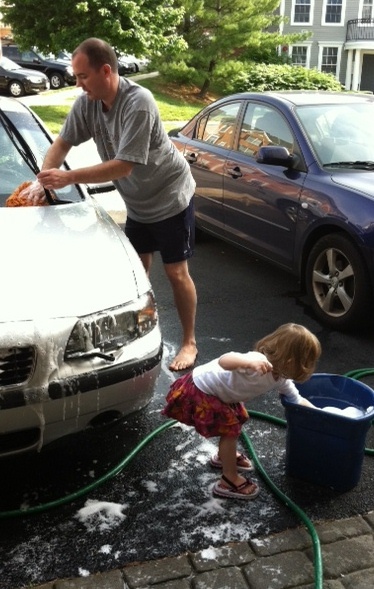 Sunday, we washed the cars. And, the wagon. And, the street, trees, sidewalk, neighbors cars and anything else within hose range. Clothes really become bothersome sometimes. Mom came to visit so we headed to the Farmer’s Market and loaded up on strawberries and apples. After all this morning excitement someone was soooooooooo tired. She barely made it through lunch and was down for a long afternoon nap. Mom and I enjoyed the Gaugin show at the National Gallery of Art and then did some shopping. Somehow, Miss H always gets things on these shopping trips. She has some really cute new summer clothes! Now, we are all exhausted from the weekend. Hope everyone enjoyed the nice weather! Thanks again for the car seat! I love the picture of tiny Hadley in it:).